Blood’s Thicker Than Love, the anticipated new full-length from Texas-based ’70s-inspired hard rockers BLOOD OF THE SUN featuring drummer Henry Vasquez of Saint Vitus, is out TODAY in the US via Listenable Records! Drawing influences from the likes of Deep Purple, Mountain, Humble Pie, and Led Zeppelin, BLOOD OF THE SUN has been delivering ultra-catchy hard rock over the course of four albums, churning out upbeat ’70s radio hits with ease and conviction. Stream BLOOD OF THE SUN’s Blood’s Thicker Than Love at THIS LOCATION. And if you missed it, sample some pro-shot live footage of the band from their recent European tour HERE and HERE. Blood’s Thicker Than Love is available on CD, LP, and digital formats. For US orders go to THIS LOCATION. For EU orders go to THIS LOCATION. Founded by Vasquez and keyboard player Dave Gryder, BLOOD OF THE SUN has been joined by a number of talented players over the years, including Derek St. Holmes from Ted Nugent’s band. 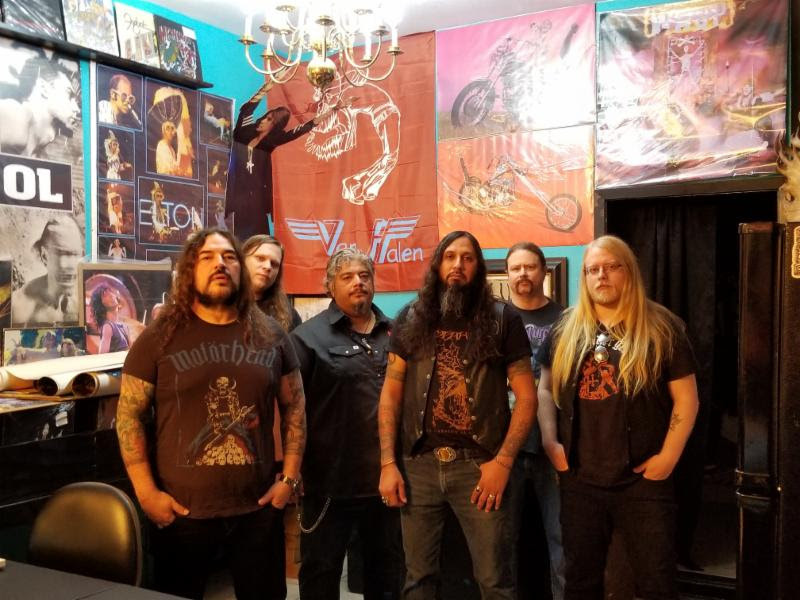 BLOOD OF THE SUN 2018 boast their strongest incarnation yet, featuring vocalist Sean Vargas, who was recruited shortly after the release of their previous album Burning On The Wings Of Desire.A natural fit thanks to his high register wail and just enough grit, Vargas is united by newest additions, guitarists Wyatt Burton and Alex Johnson. These three players have rounded out the lineup of the band’s core, being Vasquez, Gryder, and bassist Roger “Kip” Yma on bass.